Pretoria, South Africa, is uncannily good at producing incredibly talented musicians that are not afraid to take on unfamiliar genres within our country. Singer-songwriter Ola Kobak is no exception in this regard. She is the beautiful voice behind Fulka, a Pretoria based folktronica act. The word Fulka is derived from a Germanic noun meaning “people” or “army”, ironic as “army” is not something that comes to mind when listening to her sing. 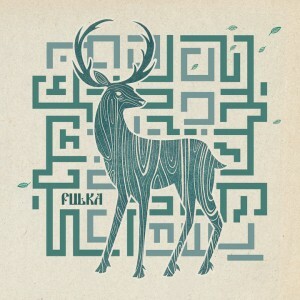 Fulka’s debut album is entitled “The Mystery of the Seven Stars” and is definitely something I have been looking forward to. 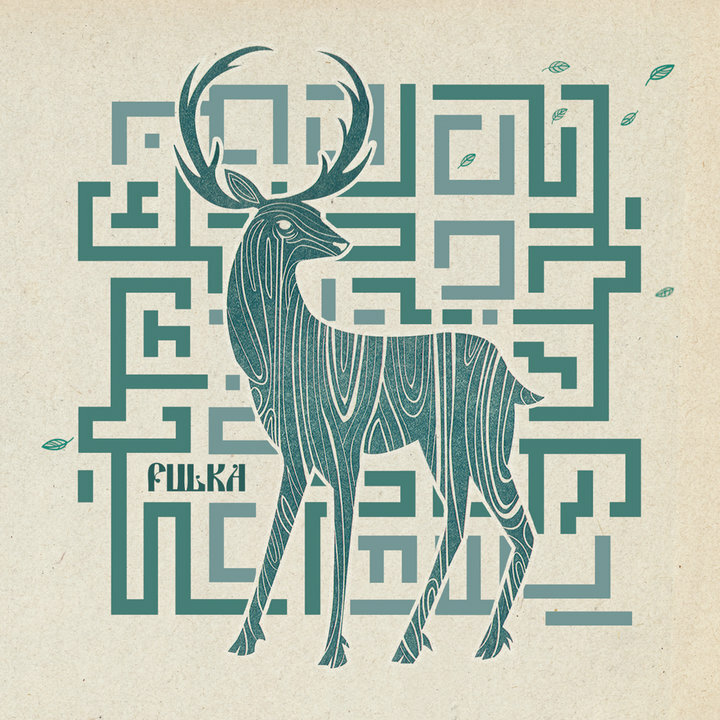 The album as a whole is incredibly uplifting yet still retains Fulka’s signature peaceful quality. Soft, delicate and melodic, a beautifully fine balance has been crafted between traditional instruments, synthesizers, electronic drums and Ola’s powerful voice. Ola also plays the banjo, piano, accordion and guitar. She is assisted by her husband, Jacob Israel, who brings his many years of experience in building soundscapes using drum beats, vintage synthesizers and solid production. Corné Roodt and Christian Henn also bring a multitude of instruments to this colourful party with Jean-Louise Nel assisting on the viola. The music has strong spiritual themes with several references made to figures from the Bible, composed in such a way that you will find yourself singing along without even realising it. The hardest part of reviewing an album of this quality is trying to pick tracks that stand out. “Misunderstood” was the first Fulka track that I ever heard and it is still my favourite. Songs like that make you feel like you are listening to the lovechild of Sufjan Stevens and Laura Veirs. “Lazy days in the streets, Rumbling for soft ice cream oh, What a shithole” – it gets stuck in your head! “I Fell When You Spoke” is a hauntingly beautiful track that builds up to some lovely electronic drums with a lo-fi folk feel. The album titled track, “The Mystery of the Seven Stars”, inspired by Revelation 1, showcases the diversity that Fulka has to offer to us all, the goose bumps song if you will. This is a warm, beautiful and engaging album that stands out for me as one of the finest records – right down to the artwork – produced this year. I implore you to listen to it, love it, buy it and support this phenomenal Pretoria project. The album will be released on 11 October 2010 and will be available at their shows, various stores with good taste as well as a digital download on their website, fulka.bandcamp.com. Give them some Facebook love as well… here! There are also three tracks available for free download from the album over at fulka.bandcamp.com, so go and check them out! Previews below! Rocking The Daisies in your Gardens! Offset Joins The Electrotrash Club!